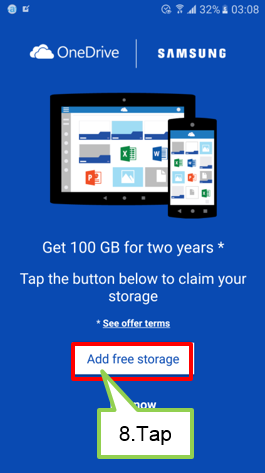 How to redeem free storage of OneDrive? STEP 1. Click on the notification for the Offer. To redeem free storage of OneDrive, you need to sign in Microsoft Outlook account as well based on new policy of Microsoft. 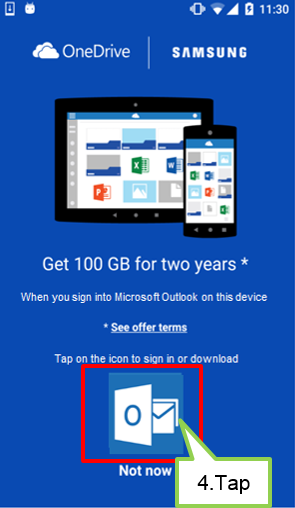 If you download the Microsoft Outlook or launch it, it will automatically sign in by using existing Microsoft account and you can redeem storage offer (+100GB). Please follow the next steps. 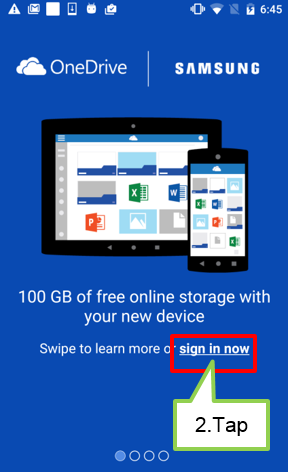 The first time you turn on their device, you get a notification to let you know of the 100GB OneDrive offer. Click on this notification takes them to OneDrive. STEP 2. Information about the offer of the OneDrive. 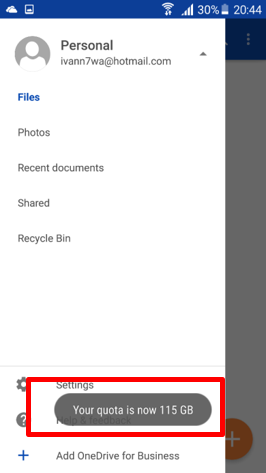 When you launches the OneDrive app for the first time, you will see information about the offer included with your device. STEP 3. 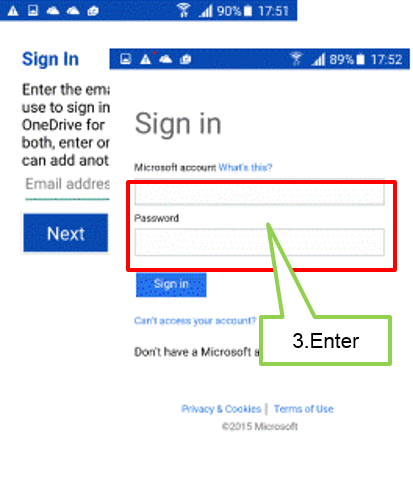 Sign In with the Microsoft account. The first step to redeem the offer is for you to either sign in with an existing Microsoft account or sign up for a new one. STEP 4. Launch Outlook application. 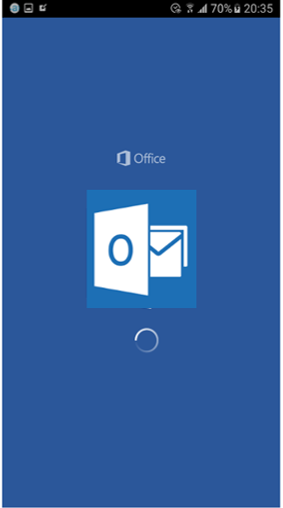 If you do not have Microsoft Outlook in your device and have not signed into it at least one, you are asked to download or launch an app (automatic sign in on app launch). You can click on any app icon to download it or launch the app if already present. ● If the you meets all the criteria for redemption steps 4-7 do not apply. Please go to step 8. ● If the you does not meet all the criteria for redemption, steps 4-7 apply. Please go to step. 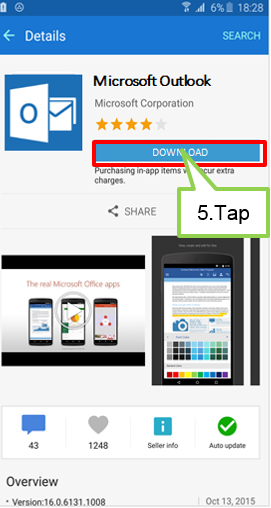 Customers who need to download are taken to the Samsung Galaxy apps to download Microsoft Outlook. STEP 6. Launch the application. Once download is completed, you need to start the Outlook where you signed in automatically . STEP 7. Click on the notification for the Offer. 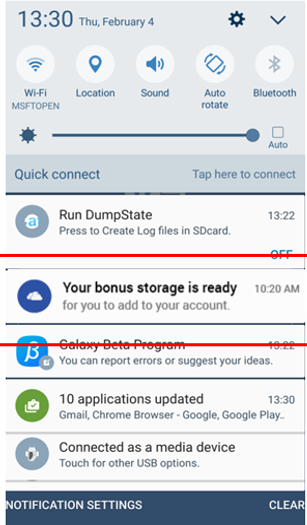 Once signed into an Office app, you will get a notification indicating that you have met all the requirements and your storage offer is ready for redemption. You can directly click on the notification to go back to OneDrive. STEP 8. Redeeming the Offer. You redeem the offer here by tapping on the main button, and have the option to see the full offer terms. STEP 9. Informed about the total storage on the used account. 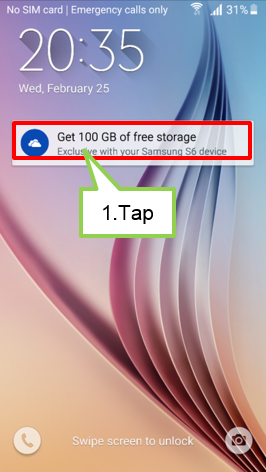 A quick in-app notification appears to confirm the storage offer (+100GB) has been redeemed. Actual resulting total storage depends on account type and settings.